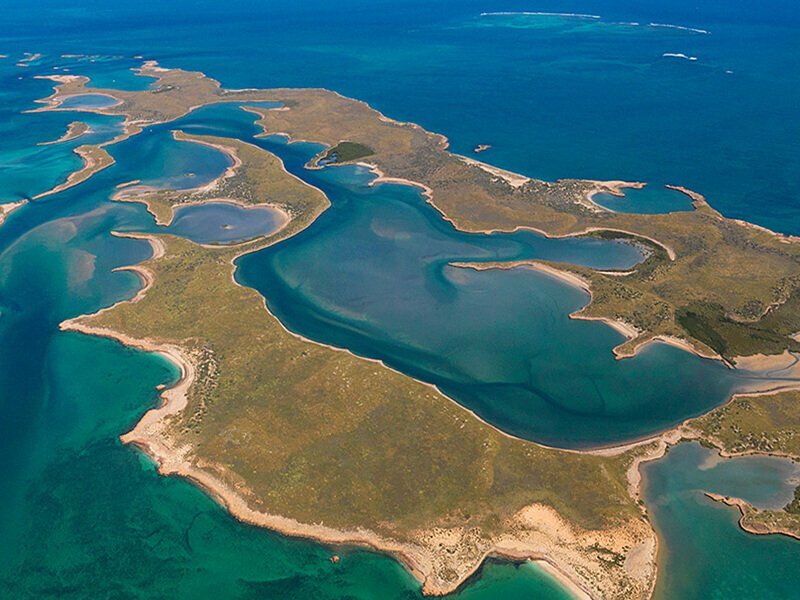 They are located 20 km north of Barrow Island and 120km north, north-west of Dampier and were named by the French navigator Nicolas Baudin in 1801. Baudin was evidently “discouraged by the seeming barrenness of the country, the scarcity of fresh water and the hostility of the blacks, so kept to the sea and did little else than survey the coast line and islands. Before he left, however, he named the islands after the battle of Montebello, where the victorious French general Lannes (Later duke of Montebello) defeated the Austrians in 1800. The flat limestone islands range in size from Hermite, the largest, at about 1,000 ha, to several small islets and rocks of less than one hectare. They are the remnants of an old coastal landform and have been separated from the mainland for more than 8000 years. No evidence has been found of Aboriginal occupation of the islands since that separation, although they probably lived there before. 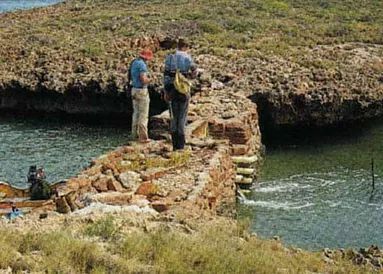 The earliest known European use of the islands was in 1622, when one of Australia’s first recorded shipwrecks, that of the TRYAL took place just west of the Montebello’s. The survivors of the wreck spent seven days on the northern islands before setting forth for the East Indies. Only 30 could sail with the captain in the lifeboat, the rest were left to their fate on the wrecked ship. Other early navigators, Baudin in 1801, King in 1818 and Stokes in 1840 had less eventful voyages. ​The development of the pearling industry along the North West coast in the late 19th Century formed the next exciting chapter in the history of the Montebello’s. The pearlers who fished the waters and camped on the islands are probably responsible for the introduction of the cat and the black rat who in turn are accountable for the extinction of the golden bandicoot and spectacled hare wallaby. One of the most notable characters among the pearlers was Thomas Haynes, who held a pearling licence for the Montebello’s from 1902-1913. Evidence of his pioneering experiments in raising pearl oysters can still be found on Hermite Island. There is an inscription in cement “The Montebello Experimental Shell Pool, Constructed 1906. Completed 20 September 1981 by R.P. Morgan and Crew”. Haynes also left other evidence of his presence, which the W.A. Museum picked up on a recent survey. These include bottles of tonic (apparently a necessity because of the poor diet imposed by the remoteness) and a bottle bearing the proud legend Swan Brewing Co. Some things don’t change much with time!! Haynes left Hermite in 1909, after a willie willie’’ completely destroyed his house and damaged his oyster enclosure.